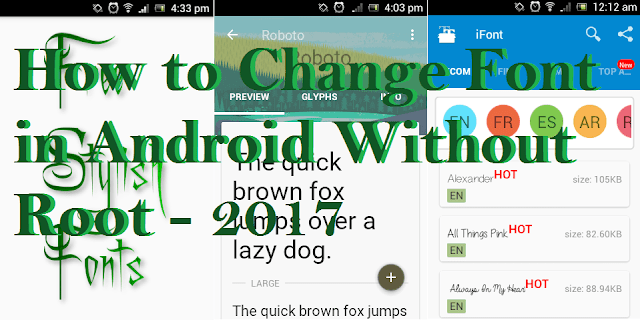 Hello friends, Today I will tell you best methods to change font in Android. 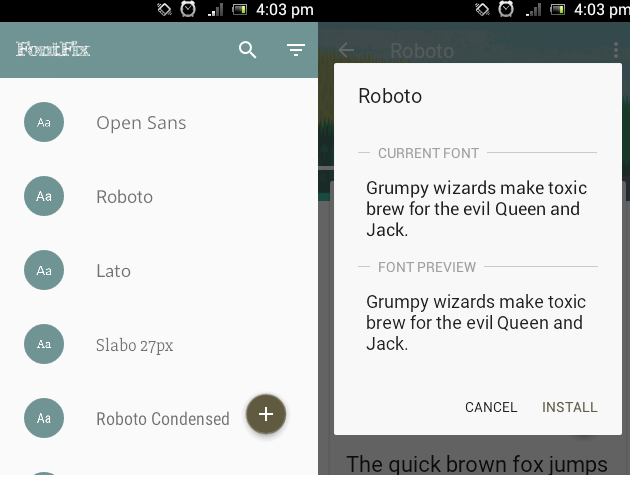 Users can change the size and even style of Android fonts. 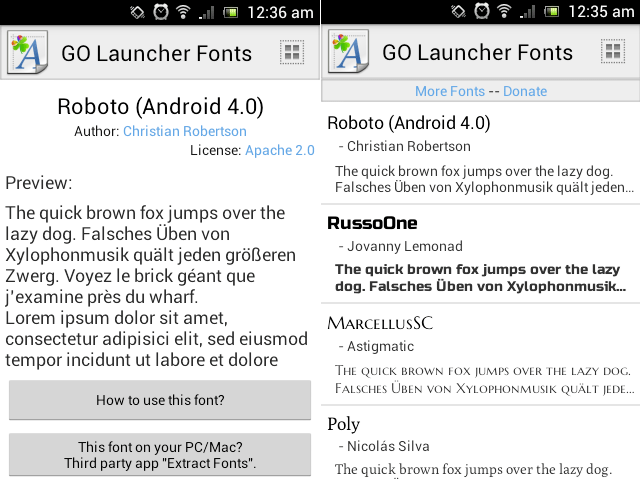 You can even download various fonts for your Android device. 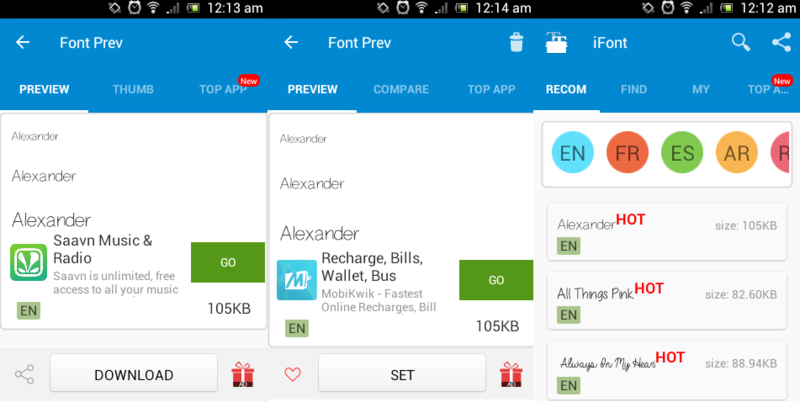 This trick is bet to change, and even you can download new fonts for your Android phone. Every smartphone has different features and specifications. Amongst them, the expensive phones’ are more convenient and up to date for the users than the cheaper ones. As a matter of fact, most people can’t afford to change their smartphone just for latest features. Due to this, they are forced to use the same outdated model for a long time. Android Kitkat 4.4.2 users can enjoy new fonts in their device as it becomes such an easy drill to change them with the help of some Android applications. You just have to install them and change fonts from device’s settings. For those who have face any trouble while using the above method. The rooted device users can download the custom font from any other font apk or website. Hopefully, the above methods will solve your issue and will positively change the fonts of your device. However, if you have face any trouble while running any of the above-stated applications. There are many methods by which you can install Stylish fonts on your non-rooted Android device. With downloads of over 10 million. It is amongst the top 5 applications available on Google play store that can change the fonts of an Android device. However, now Samsung users don’t need to avail those costly fonts as our method will give them an option to choose their desired fonts for free of cost. Here, we provide you a pack of about 340 fonts in a single application. No root access required. Visit the file manager of your device and install the apk. Furthermore, to apply the fonts, go to Settings and under the display, tap on font style and change it. These are the best methods to change font in Android device. You can change the size or even style of Android by following these methods. If you face any problem regarding this trick. Then, make a comment below and don’t forget to share this article with your friends.